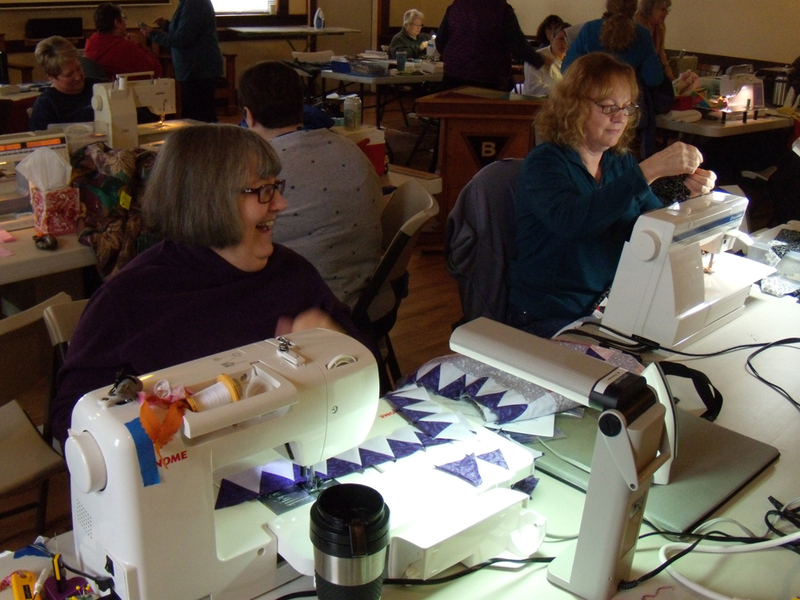 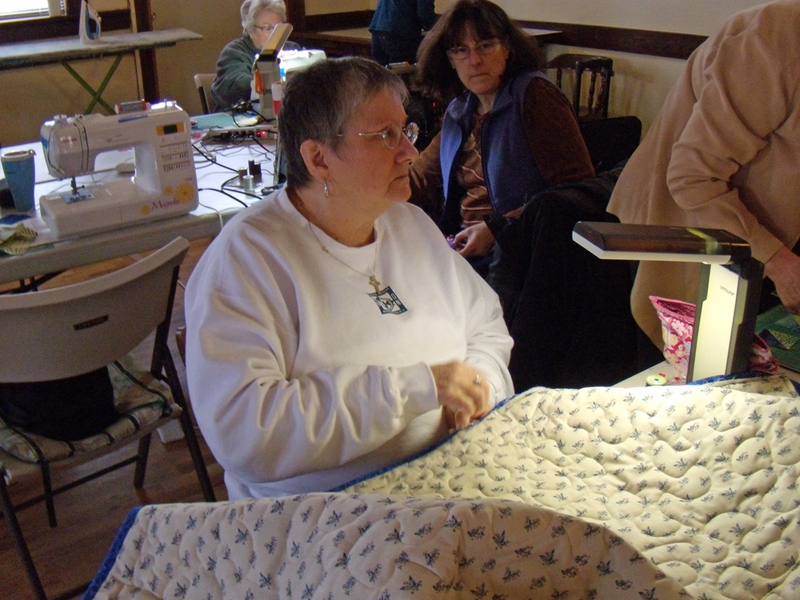 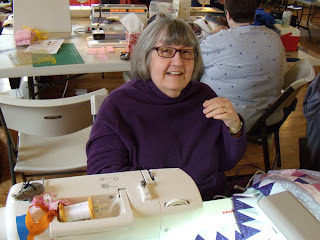 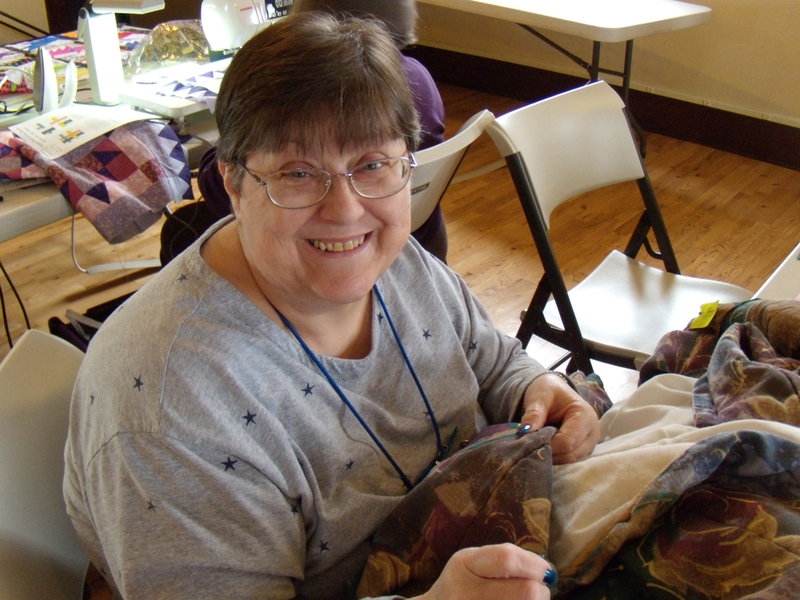 Twenty four women met for the February Sewing Saturday and worked on a variety of quilting projects. Sue and Jamie had tables set up, a "sherpa" named Chase, miscellaneous items (irons, boards, cutting mats, etc.) 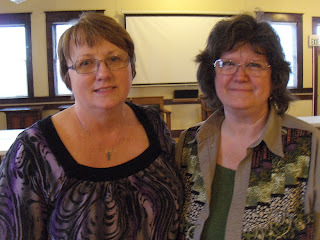 and adequate power for the day.